A new charter for employers has been launched by the Tánaiste Joan Burton today. THE GOVERNMENT IS hoping that as many as 160 employers will commit to ensuring that at least half of candidates considered for job interviews will be taken from the Live Register. Tánaiste and Social Protection Minister Joan Burton launched the Employment and Youth Activation Charter at the RDS in Dublin today. The charter has been launched as part of the government’s efforts to get long-term unemployed people back to work and the Department of Social Protection is aiming to sign up around 160 employers in the first phase of the plan. Companies are also being asked to commit to measures such as offering internships through JobBridge, working with local schools to offer students an insight into the world of work, and to host or support training for unemployed people in their local area. “It’s very important that people that are long-term unemployed have an opportunity to interview for the current jobs that are coming up to get back into the workforce,” Activation Minister Kevin Humphreys said at the launch today. Humphreys also said today that over 3,000 people have gone back into full-time employment under the government’s JobsPlus scheme where employers get a grant of up to €10,000 for taking on people who are long-term unemployed. Email “Some employers will take half of job interview candidates from Live Register ”. 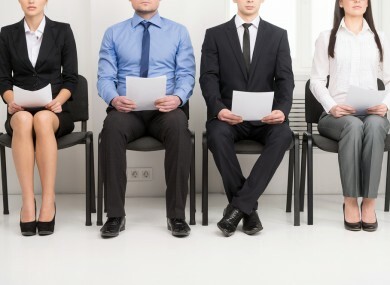 Feedback on “Some employers will take half of job interview candidates from Live Register ”.